We were blessed to represent one of the whistleblowers in the recent $16.65 billion whistleblower suit against Bank of America. That case represents the largest settlement in history by the United States against a single defendant. Some of the whistleblowers received $57 million a piece for their information. Obviously, not every case is that large but every case is important in the fight against fraud and corruption. Lehigh Valley Live reports that Easton Hospital in Wilson Borough, Pennsylvania agreed to pay $662,000 to settle Medicare fraud charges brought under the federal False Claims Act. The hospital was allowed to pay while still denying the charges. Press reports say the hospital cooperated with the government’s investigation and that the physician linked to the alleged fraud is no longer affiliated with the hospital. Two former hospital employees originally filed the complaint against the hospital. They claimed the hospital performed urologic procedures that were medically unnecessary. In some instances, the services were never performed. Medicare fraud involving billing for services not performed represents greed and affects taxpayers who foot the bill for Medicare. In some instances, it diverts much needed services from truly needed people. All told, it’s bad. Performing medically unnecessary procedures can be dangerous, however. Curious as to the procedures that were alleged to be medically unnecessary, we obtained a copy of the recently unsealed complaint. In it, a physician at Easton was allegedly performing extracorporeal shock wave lithotripsy, cystometrogram, green light laser, and transurethral resection of the prostate. While some of the procedures listed are merely diagnostic, others are invasive and carry a health risk to patients. The hospital settled with the government on December 22nd. Under the terms of the agreement, the two whistleblowers are each to receive approximately $59,000. While that does not seem like much, the settlement does not include the physician allegedly performing the unnecessary procedures. The whistleblower complaint suggests that the dollar amount of the operating room time alone tied to these procedures is in excess of $10 million. Under the False Claims Act, the government can triple damages meaning the doctor could wind up owing much, much more. The Easton Hospital case is typical of the many cases we have prosecuted. The would-be whistleblowers were once loyal employees who tried to report their suspicions to supervisors and ultimately senior management. Only when they were rebuffed – and suffered from retaliation – did they file a whistleblower complaint. Medicare fraud is a huge problem in the United States. It costs taxpayers well in excess of $8 billion per year. The best line of defense are whistleblowers. Congress passed powerful laws both to protect whistleblowers from retaliation as well as insure they are compensated for their willingness to cooperate. To qualify for a whistleblower award under the False Claims Act, one must have original source (inside) information about fraud involving a government sponsored or funded program such as Medicare. 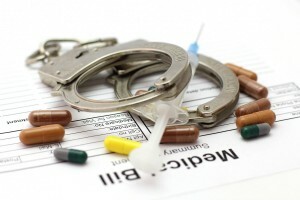 Twenty nine states have similar state laws that cover Medicaid Fraud.